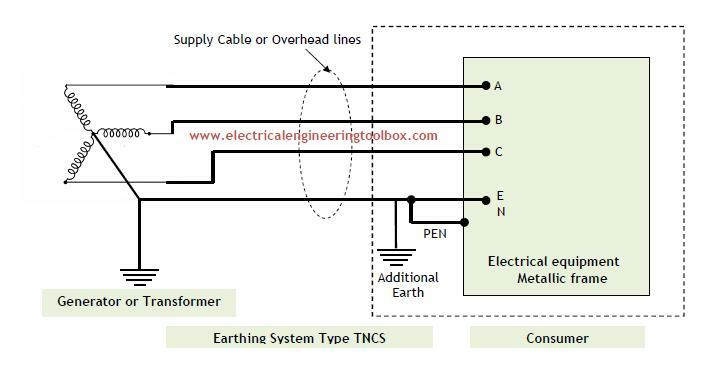 The international standard IEC60364, part 4, and Reference 10 uses a set of diagrams to explain the five basic methods of earthing and providing the neutral of an electrical installation where it is required. The five methods are abbreviated TNC, TNS, TNCS, TT and IT. The first letter denotes the source of power from a star-connected winding. T denotes that the star point of the source is solidly connected to earth, which is usually at a location very near to the winding. I denote that the star point and the winding are isolated from earth. The star point is usually connected to an inductive impedance or resistance. Capacitive impedance is never used. to be earthed. There are two basic methods that can be used to earth the body of electrical equipment. These methods are denoted by the letters T and N. The letter N is sub-divided into other letters, S and C, thus giving NS and NC and NCS. 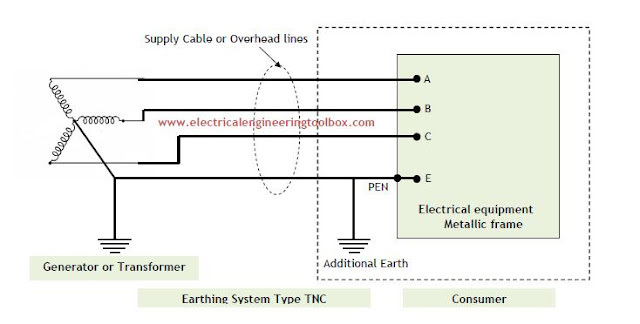 T denotes that the consumer is solidly earthed independently of the source earthing method. 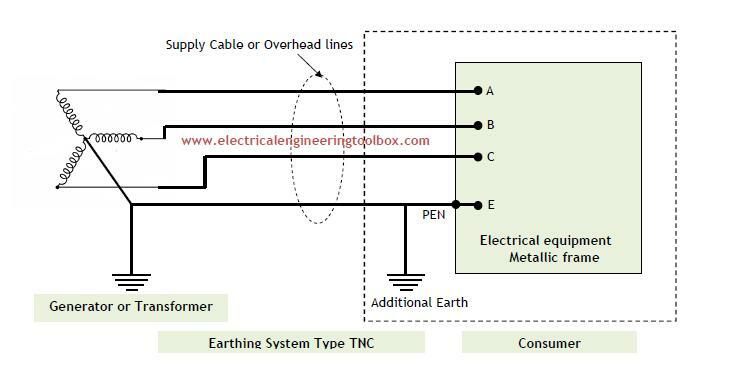 N denotes that a low impedance conductor is taken from the earth connection at the source and routed directly to the consumer for the specific purpose of earthing the consuming equipment. 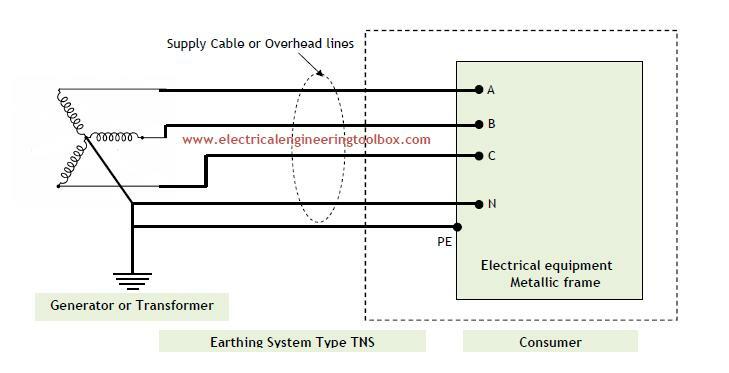 S denotes that the neutral conductor routed from the source is separate from the protective earthing conductor, which is also routed from the source. 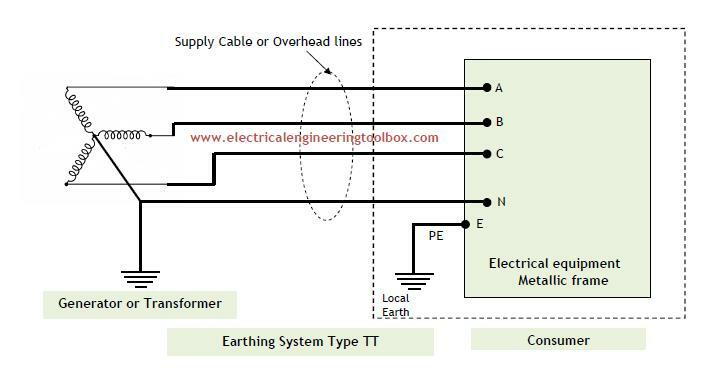 This implies that five conductors need to be routed for a three-phase consumer. C denotes that the neutral conductor and the protective earthing conductor are one and the same conductor. 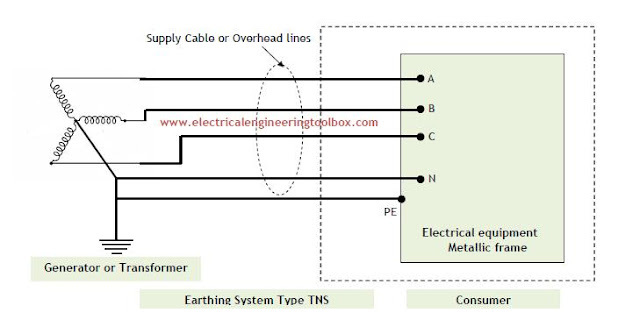 This means that four conductors need to be routed for a three-phase consumer.